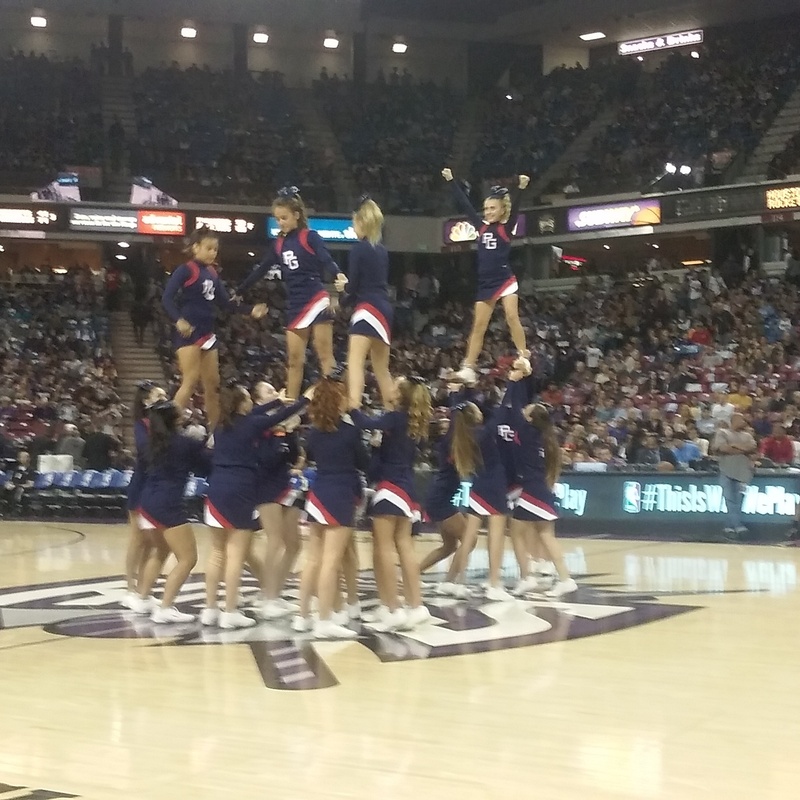 Last night was Elk Grove Night during the Sacramento Kings basketball game at Sleep Train Arena in Sacramento. Although the Kings did not prevail in the game against James Harden and the Houston Rockets, the evening started with Mayor Gary Davis presenting a Key to the City to Elk Grove native and retired NFL Chicago All Pro linebacker Lance Briggs. 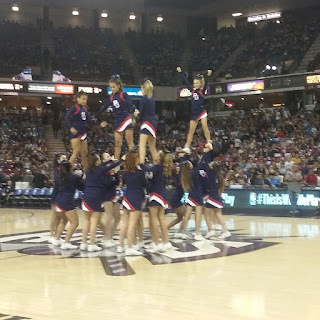 Below are some pictures and a video of the 12U/14U Pleasant Grove Junior Eagles cheerleader squad who performed before the sellout crowd during halftime. Nice...unfortunately we were unable to get tickets using the cities web site. The Promo Code "ElkGrove" didn't work. Watched the game on TV, but of course all of the above was not shown. Glad you got some pictures. The Pleasant Grove HS Cheerleaders put on a great show.